Leading Learning provides something tangible to frame growth for all jurisdictions and for every school in Canada. It captures the collective vision of educators and members of the extended educational community from across the country. Teams from every province and territory provided input into this collaboratively-built document. That this could be achieved when there is such wide disparity in investment in programs and models for staffing and delivery is truly remarkable. The core theme of Leading Learning is facilitating learning, and the document sets a framework for growth rather than setting potentially unachievable benchmarks for facilities, collection size, circulation, etc..Those kinds of measures do not tell the full story. Good metrics are the product of good program, not the cause. Leading Learning takes a fresh approach. Its frameworks foster professional learning and program growth. The language here is about collaborative learning communities, achieving school goals, effective instructional design, fostering literacies and designing learning environments. Secondly, Leading Learning identifies themes in each standard, and presents relevant stages of growth: Exploring, Emerging, Evolving, Established, and Leading into the Future. It provides growth indicators for each stage, broken down by specific themes. 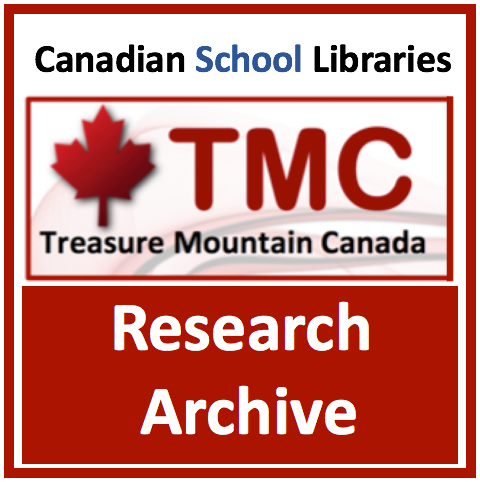 Every school can find its place in this framework, with the learning commons team assessing their own program, and picking areas for growth that most directly match the school’s goals. Leading Learning is replete with Canadian examples at each stage of growth. 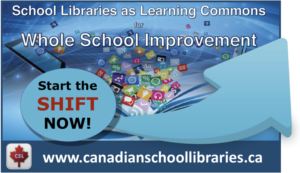 It provides guidance for transformation at the provincial/territorial level and at individual schools, with a Library Learning Commons Leadership Team. 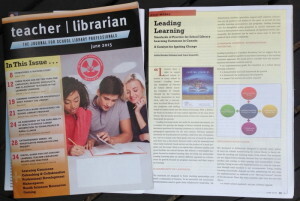 Together for Learning sets out a new vision of the school library as the hub of a whole school learning commons. 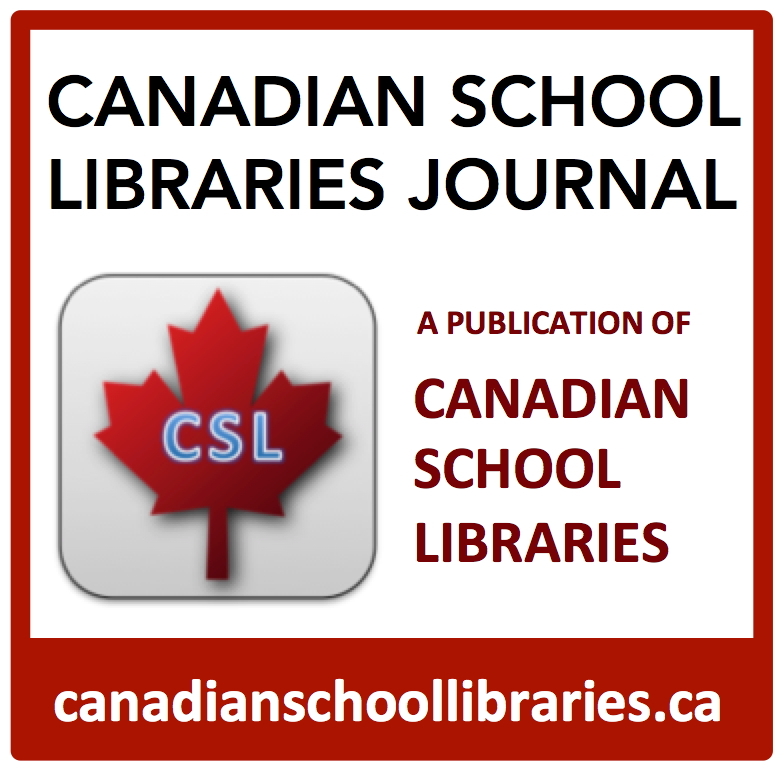 It sets out the key components of the learning commons as the physical and virtual space, equitable access, learning partnerships, and technology in learning. Learning in the commons moves learners beyond retrieving information to constructing personal meaning, and building individual and collective knowledge – learning how to learn. 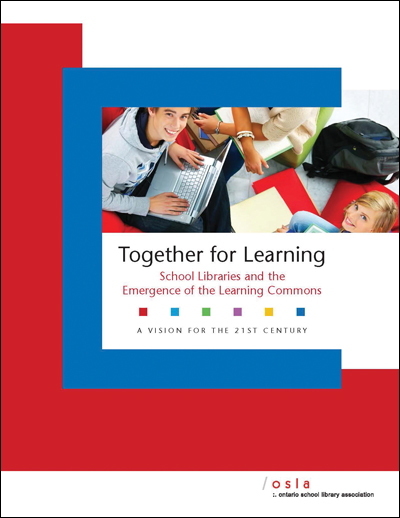 Together for Learning was conceived as a living document, and that vision is realized with the website, which includes a large bank of ideas and exemplars for implementing ideas from the guideline. I am honoured to have been a member of the Together for Learning writing team, and lead developer on the Together for Learning website. Published by Walter de Gruyter GmbH, Berlin/Boston. 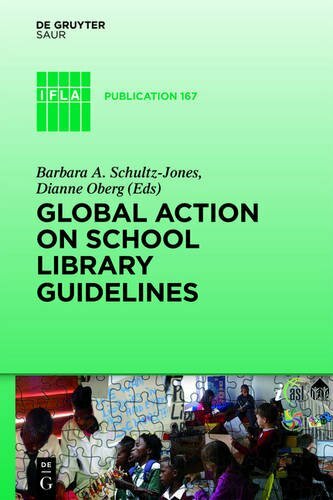 A book celebrating the new IFLA School Library Guidelines, and providing advice for establishing national standards and guidelines. 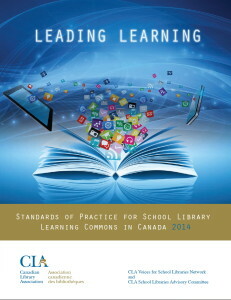 Includes a chapter about Canada’s Leading Learning.